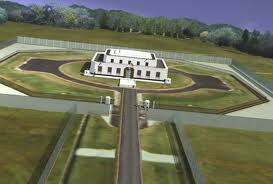 You are currently browsing the tag archive for the ‘Fort Knox’ tag. In all the years since I was nearly drafted into the Army following college graduation, and instead went into an accelerated program to become an Army officer at legendary Fort Knox, Kentucky, I’ve never met or corresponded with any of the soldiers I served with, not attended any veteran’s event. But in October, 2014, a unique reunion is being planned — a gathering of surviving graduates of the Armor Officer’s Candidate School I attended there in 66-67. That school was only in operation there for four years during the Vietnam War. I plan to attend that reunion, both to hopefully meet a few of those I trained with, and to visit again the grounds of the old Armor School, where I trained for 10 months and 10 days through the heat of a Kentucky summer and a wild winter. My exploits there and through two years of active duty, including a brief stint in Vietnam, are the subject of my essay, “All That Glitters,” presented two years ago before Chicago Literary Club. The essay can be found at http://www.chilit.org. Search under “List of Members” then my name then the title. My experiences related to Vietnam, including Thanksgiving 1968 in Saigon, not to mention what happened to all that gold at Fort Knox, are at http://www.chilit.org. Click on “Scheme of Exercises” and then on “Roll of Members” then on my name, then on the story title, “All That Glitters…”. The essay was presented on November 21 this year at the Chicago Literary Club meeting. Even after Congress acts, one way or the other, the U.S. will still have a national debt on the order of $20 trillion. How much is that? 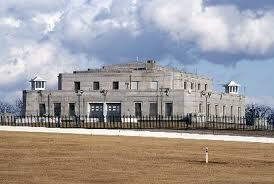 Try 100 times the supposed $200 billion in gold bars hidden away at Fort Knox, Kentucky. Of course, there hasn’t been an independent audit of the remaining gold at Fort Knox for 50 years, thanks to Congress, and we went off the gold standard many years ago. There’s nothing behind our national debt now but us. Anyone want to pass the hat?